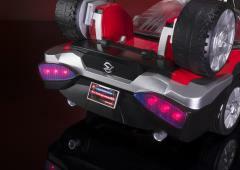 Please note: Figure and batteries not included. 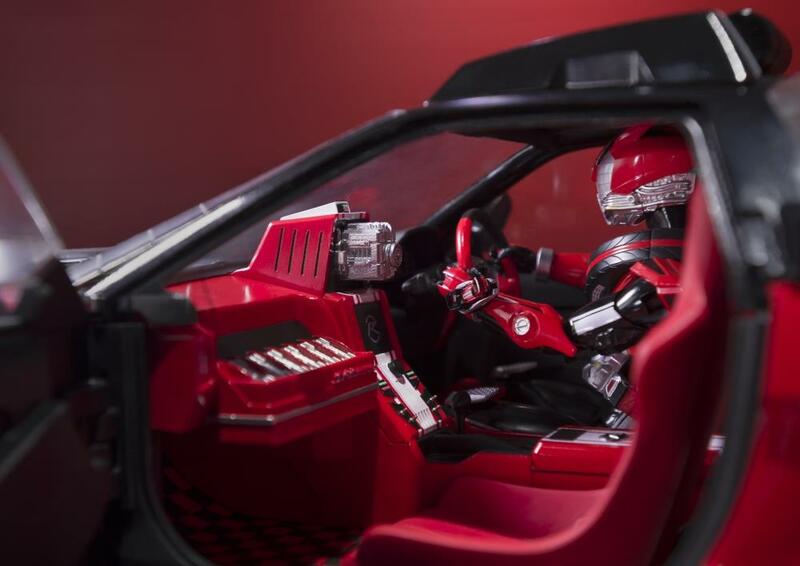 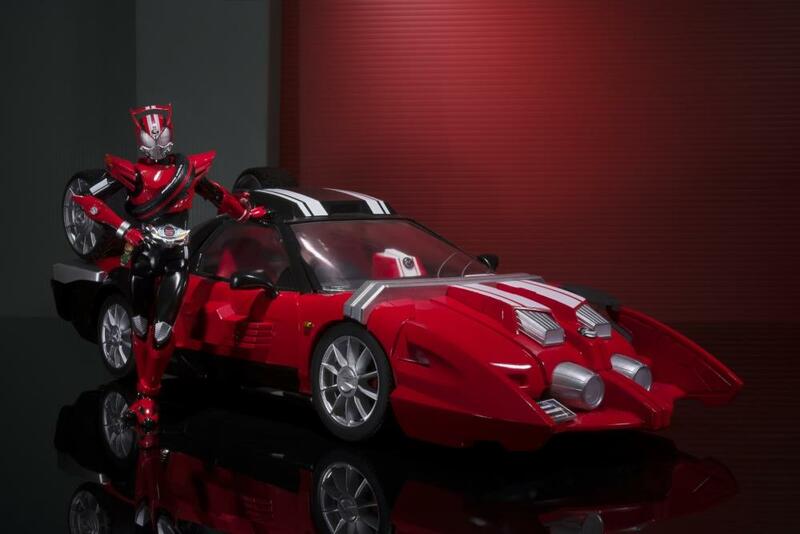 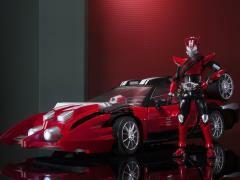 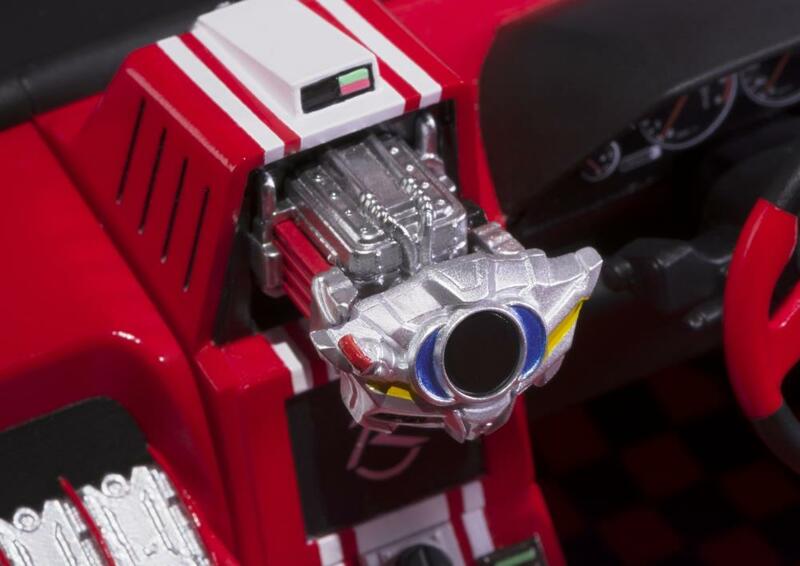 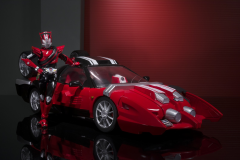 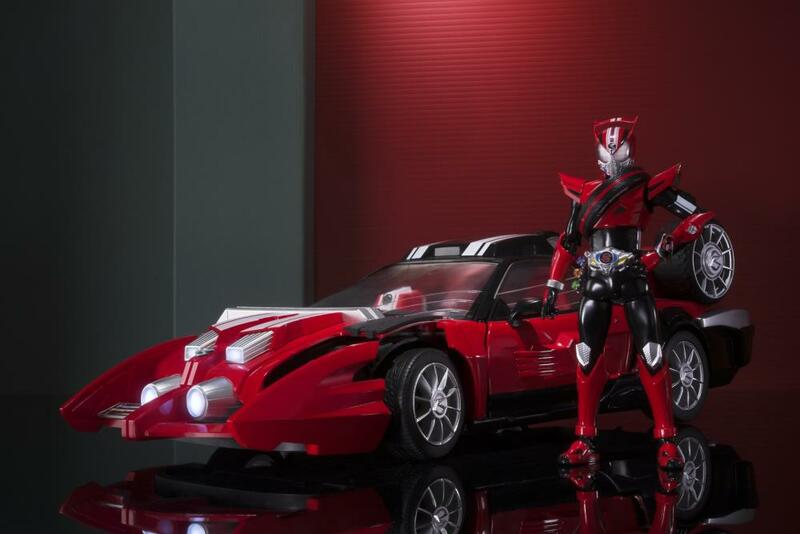 From the tokusatsu Kamen Rider Drive comes an S.H.Figuarts vehicle of Drive Type Speed's Tridoron! 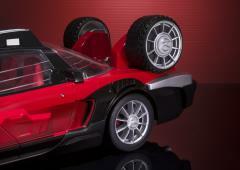 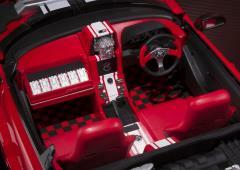 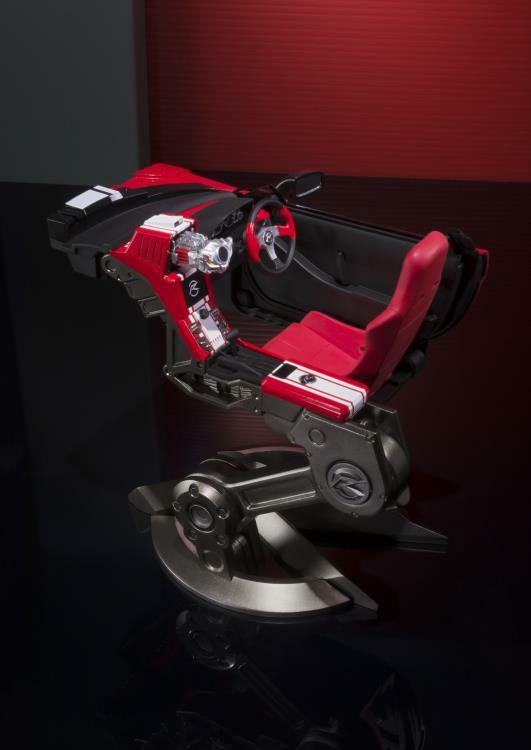 This sleek collectible vehicle features a diecast metal frame and LED light-up head and tail lights. 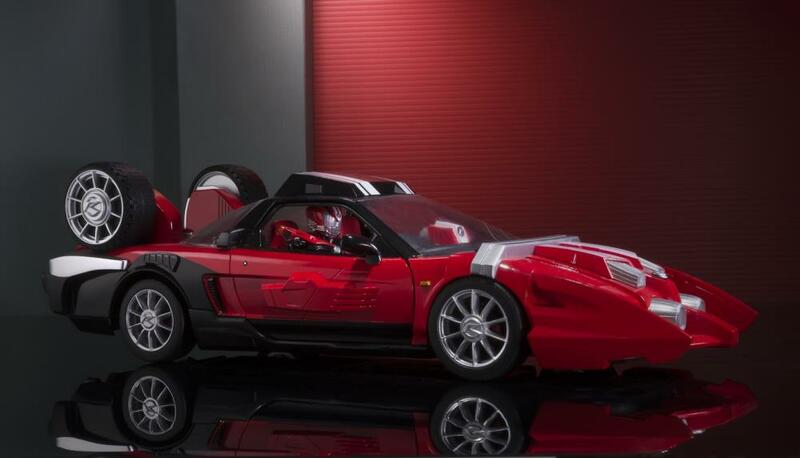 The set also includes a multitude of accessories, like 6 hubcap adapters, 2 wheel-holding hands for Drive Type Speed, Drive Type Speed Tire parts to allow him to sit inside the Tridoron, a generic wheel for displaying, a Drive Driver Krim Steinbelt AKA Mr. Belt dash mount, and a whopping 7 interchangeable Mr. Belt plate parts! 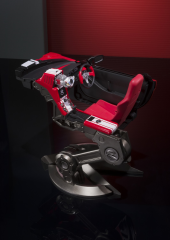 This set also includes a bonus seat replica with a diecast pedestal and "R"-shaped base. 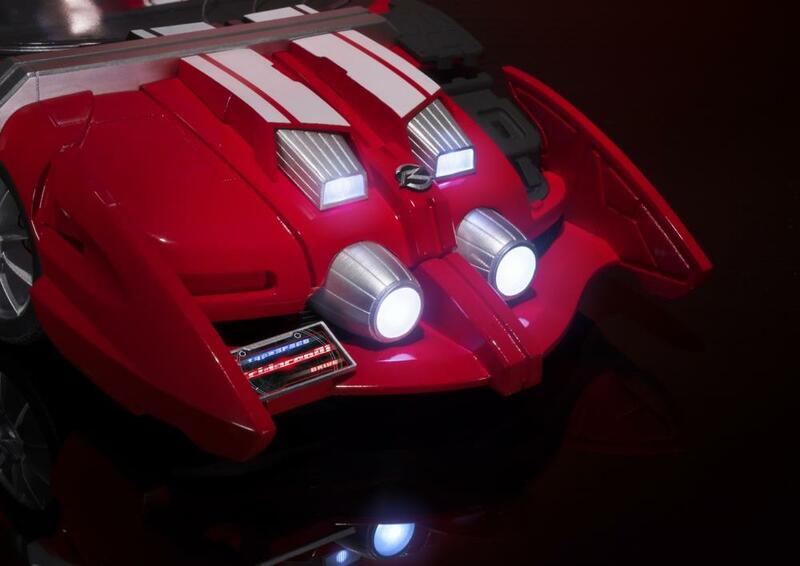 Type Speed can fit inside either the Tridoron or on this incredible separate replica! Fans of the popular Kamen Rider Drive tokusatsu don't want to miss out on this exclusive Rider Machine with awesome accessories!